Discussion in 'Contrails and Chemtrails' started by MikeG, May 27, 2018. Last week, Catherine Frompovich wrote a article for Activist Post that claimed recent heavy rain in southeastern Pennsylvania was geoengineered. After looking through archival data on rainfall in the area, the totals don’t come close to historical records. Frompovich’s secondary claims about “scalar clouds” are also unfounded as are claims about crop damage. I wanted to look at three parts of her claim. 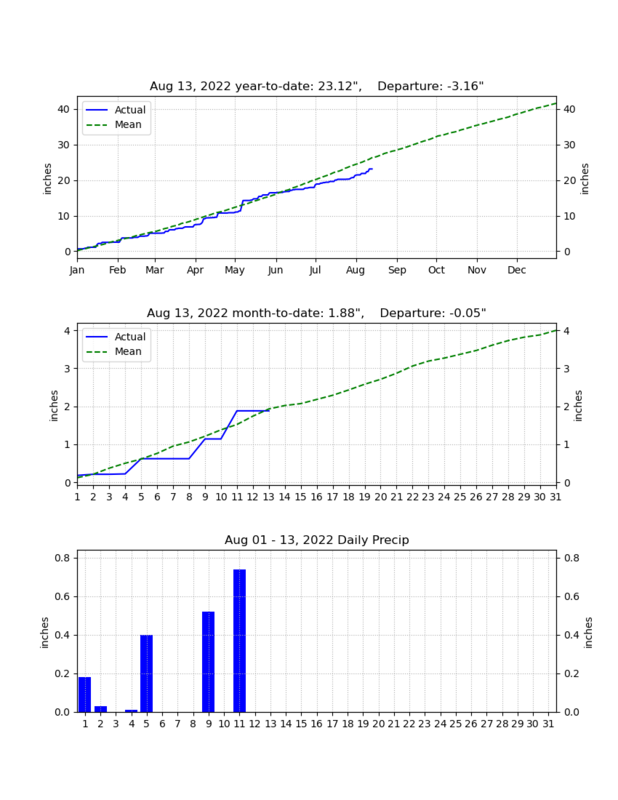 The first deals with rainfall in southeastern PA.
Pennsylvania averages 41 inches of rain each year. I picked the city of Lancaster as a representative sample site in the southeastern part of the state. It averages slightly more than PA as a whole, 42.81 inches/year. Penn State University has a good website with historical Lancaster weather data. The average for May rainfall in Lancaster is about 4 inches. The record for rain in the month of May was inches in 9.47 inches back in 1989. The highest daily amount was 4.06 inches in 1942. I found references to the term in physics. They are related to black holes, not weather or climate. Massive complex scalar fields can form bound states around Kerr black holes. These bound states -- dubbed scalar clouds -- are generically non-zero and finite on and outside the horizon; they decay exponentially at spatial infinity, have a real frequency and are specified by a set of integer "quantum" numbers (n,l,m). In reality, these are Altocumulus and Altostratus clouds. CT’s also refer to these normal formations as “HAARP clouds.” Earlier Metabunk threads have already discussed the term. Lastly, there is the “lost” pumpkin crop. I found a good chart from the USDA. The Pennsylvania harvest is slightly down from 2011, but so are the number of acres under cultivation. Mike; Thanks, this will help when I get into discussions with the local weather conspiracy buffs. Penn State and Millersville University were really helpful. It is a little difficult to find archived weather data.